It’s true. I suffer from the debilitating fear of…..editing. Okay…I MAY have made that up but it doesn’t mean it’s not true. (WHAT?) 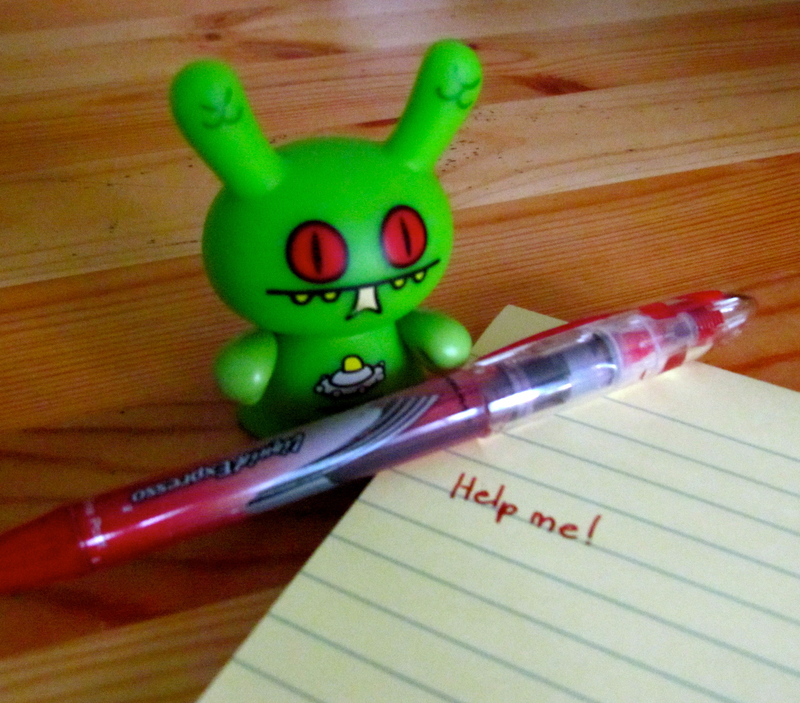 There seems to be something deep inside – an irrational fear – that holds me back from editing my writing. I have piles of short stories and novels just begging to be edited and yet my fear holds me back. So what I am afraid of? Good question! There doesn’t seem to be any plausible reason for me to continue to avoid editing my work as though it were the plague. Which, coincidentally is hilarious since an entire part of my novel is centered around the plague. Irony…ah I love you. Obtain the much sought after feeling of ACCOMPLISHMENT that I truly finished a novel start to finish. Partake in the celebratory kitchen dancing whilst tossing Skittles in the air in elation. You wanna see that right? All fabulous reasons for me to push forward and edit the damn novel. And yet….when I open that Word/Scrivener document I find myself staring blankly at the screen, shifting in my seat and hoping that SOMETHING will come along and distract me. Which can be as simple as a dust particle floating in the sunlight. Yeah..it’s bad. So dear, faithful readers I am pleading for your help. How do you stay on track with your editing? I need advice since it would appear I can’t go at this alone. Okay, well, I’m definitely not a pro at the editing but I convinced myself I LOVE editing…and this is why: words. When I edit, rather than when I write for the first time, I find that I am much better at finding the full round words to complete the picture, clarify the scene and fix the all important cadence of the sentence. It’s like going from good to magnificent, from extra to superfluous, from glowing to incandescent. I’m sure you’ll find that once you start reading your work aloud and trying a couple of different word options in some key sentences, you’ll start to see it as a big puzzle:)) Huge hugs, Ms.Creative! Thanks for sharing with me. I suppose I need to convince myself too! I’m no pro either. First novel 2 years ago only now being edited. 2Second novel written 1 year ago is fermenting waiting for its 2nd edit. I print them out and hard copy edit with red pen and highlighters and lots of postits and it looks great and is lots of fun. Then change on the digital version then print it out again.. etc.. Reading aloud really helps. Hope that helps. You need to find how you edit as everyone will have their way. It’s good that you’re getting a selection of ideas to help get you started. Now go get those books edited… We can celebrate when we get published..
What a fabulous idea! I’ll have to try that because let’s face it… what I’m doing isn’t working. Thanks for commenting. As an editor, I find the process can be gratifying… especially when you have an awkwardly structured sentence or paragraph and you shape it up until it comes out perfectly polished. It’s quite rewarding really. Now when it comes to my own books… I quickly shove them in the direction of my fiance (also an editor) because I can’t bear to do it myself, haha. Haha yes you do! I was thinking about having someone read it first. Maybe I’ll look into that. It would be nice to have a second opinion and a fresh set of eyes. Thanks for stopping by to comment hun! Most of my loathing for editing had to do with the shameful truth of my complete ignorance of what to do. It helped me immensely to have a list of things to look for and fix. I could simply consult it and magically, my work would change. There really wasn’t any more to it for me. Sentences can me made stronger with simple rule-of-thumb changes, like putting the subject and verb as close together as possible and making sure that the most important words are away from the middle of the sentence. Other rules like: don’t make your paragraphs too long; vary sentence structure and length; toss in dialogue every once in awhile (more white space on the page make for easier reading). Eventually, you develop a feel for how your work should flow. This makes editing fun, because you can sculpt your words into shapes that you know make for more entertaining reading. You get gratification with every change. A common problem and some innovative suggestions for solutions. I just posted a blog piece about my editing process last night, actually, if you want some ideas, and the SmartEdit program (google it) is helpful in earlier stages. I also agree with some of the comments above, though—print it. Hardcopy is real, and you can see all the changes so much more easily. Finally, for a concept edit, be sure to back away from your story for at least a week (two is better) so you can give it a fresh read. Then hide your pens and read it once without writing any notes. This is hard—I went to a park and left my pens at home. Anything that grates on you, just keep turning around in your head, wait for a couple days after you finish to process, and then when you go back through, you can attack those issues and do rewrites before a line edit. What I do to help me stay on track is keep a big ol’ wall flip calendar – with Audrey Hepburn photos, for those who are curious – and make notations at the end of each day of what I’ve accomplished writing-wise, editing-wise, blogging-wise, whatever. After a few days those zeros become convicting and I sit down and make myself do SOMETHING so I don’t have zeros staring me in the face. Might not work for everyone but it does for me. Also, I figure just like writing 500 words a day is a nice attainable goal, so is editing 500 words a day. Parcel it out however works best for you – by word count, scene, chapter, whatever. I need to get some beautiful calendar too. I like the ideas of stepping away for a while and coming back afresh. I left a huge gap before coming back to my WIP (fitted in another whole project in between), now I’m printing it out one chapter at a time and working solidly on that chapter. When I’m finally happy with it, which takes a long time, I take a break and come back later. Right now I’m excited, because I left it so long it almost feels like a new book and that entices me to rewrite, edit and rediscover it! This is what to do. Print out your pages to be edited in a lump–like a chap, a scene, whatever–as long as it’s complete. Print in “draft” or “fast” to conserve ink cost..:)..Then, get out of writing room!! Go curl up on couch–in sun–anywhere really comfy with pen and pages. This next step critical: either exercise before attacking the work–or have a glass of wine–and then you’ll see it all with new eyes. Almost like you’re reading someone else’s work! Plus, hardcopy is just much easier to edit and makes you see flaws you miss on screen. This is an excellent blog post. Editing doesn’t scare me because I’m a closet perfectionist and a maniacal masochist. Yeah, I’m one of those “chronic revisers.” I hate to use a cliche but writing is all about REwriting, right? I learned this lesson the hard way when I was a teenager. I would spend months on a 100K+ word novel, and then once I sat down to edit the thing, harp over every grammatical/story flaw until I flew into a fit of artistic (diva) rage and delete the entire story, hahaha! I’ve chucked several short stories and novels this way. But I don’t do that anymore…thank gawd. I’ve learned to accept the fact that the first draft isn’t going to be perfect. I WILL make mistakes. And that’s OK. Overreacting about it isn’t going to make me a better writer. Nowadays when it is time to edit, I make sure I give myself a month or two before I face my work. If it’s crap (which I still think is most of the time) I wait out my hatred for the project by starting another. I seek the advice of beta-readers or I critique another writer’s work. When I’m done hating all of my character inconsistencies and plot holes, I roll up my sleeves and bang out the second draft. I keep chipping away at it until I reach a mostly polished final version. Then it is time to release my monster upon an unsuspecting agent/publisher! As I wait for publication, I don my vampiric cape and cackle behind a lightning backdrop. Bwahahahahaha! *cough* Yeah. 😀 Cheers from the Vegetarian Cannibal! Ooh, ooh, ooh! Me! Pick me! I have a novel to edit as well, Angie. I’m about to start. I have a few tools that have really energized me for what was always a daunting, nebulous, head-scratching, blindfoldedy project in the past — one that produced results akin to the previous four adjectives. Perhaps we could chat later.